In the mountainous landscape of the Alps, amid spectacular scenery lie the famous Italian lakes of Como, Maggiore, and Garda. There is also the lesser-known, but equally picturesque, Lake Orta and straddling both Italy and Switzerland is the stunning Lake Lugano. The shores of all these lakes are dotted with pretty villages, castles, villas and gardens. The smaller lakes like Orta offer fewer facilities but they are very peaceful, unspoilt places. There are plenty of boutique shops, cafes and restaurants in the lakeside towns – expect to pay more at the main towns on Como and Maggiore. Do visit some of the smaller villages for a more relaxed experience. as it is the easiest, most relaxing and cheapest way to see all the lakeside villages and the stunning scenery along the way. You can also take bikes on the ferries, so easy to combine a bit of exercise in your touring. This is a large, busy and very popular lake shaped like an upside down Y. It is famous for the beautiful village of Bellagio in the middle of the Y. There are lots of villages all around the lake and interesting sites to visit – medieval caves, castles and churches. The well preserved medieval village of Varenna has some lovely raised boardwalks perched over the water so go for a stroll. Tremezzo is very popular as it is home to the famous 18th century Villa Carlotta with its beautiful terraced gardens. 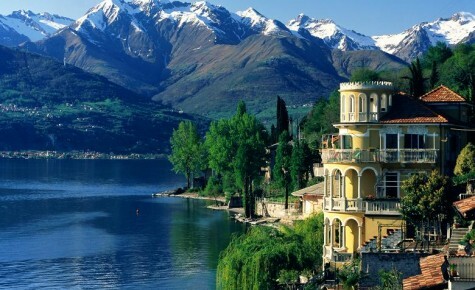 This is a beautiful lake and it is home to the elegant town of Stresa with its lakefront villas. It is very easy from here to do some stunning alpine walking, there are endless options including taking one of the many cable cars up to the top and walking through the forests. Chris says… walk down the mountain (good signed tracks) to Stresa, (around 20km) that way you get to see all the beautiful and often deserted villas with their gorgeous structured gardens and think that this is the Italian version of a kiwi bach! 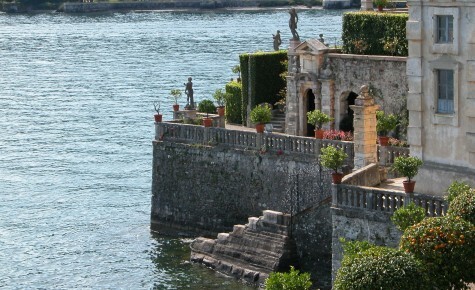 Chris says… do visit the Isola Borromee islands: Isola Bella is very grand with its gorgeous Baroque Palazzo and terraced garden filled with statues and perfect rows of orange trees. The tiny Isola dei Pescatori, a lovely little fishing village is very quaint and worth a stroll or lazy lunch alongside the water. The boat trip to these islands is excellent – you get to see the “boat garages” and lovely villas and gardens. The 12th Century Santa Caterina del Sasso Ballaro monastery is a stunning sight perched on a rocky spur near the village of Laveno. Lake Iseo set between the lakes of Como and Garda, Iseo is the smallest of Lombardy’s four major lakes and it is a true jewel. With imposing mountains, deep gorges, vineyards and pretty little fishing villages it is one of the mostscenic. For those wanting to get away from the tourist crowds in the Lakes area, this is a great option. We have a couple of gorgeous self-guided walking itineraries here that take you along lakeside paths, through wooded hills, meadows and vineyards. Italy’s largest lake is a little more laidback than Como or Maggiore but it is no less stunning. (It is like Wanaka compared to Queenstown!) It is very easily accessed from Verona for just a day trip. You can windsurf and sail and if you time it right, attend the famous Centomiglia regatta. Colourful fishing boats line the coastline and the beaches are crammed with beachgoers in the summer. Gardaland – this is a big theme park with endless attractions including Pyramids, a jungle and a dolphin pool. Great for families for a day out – just don’t forget your togs! This lake actually lies between Lake Como and Lake Maggiore but it is officially in Switzerland. Visiting Lake Lugano is easily accessed not only from Italy but also from Switzerland – train lovers will enjoy the classic half day Bernina Express journey from Chur and St Moritz down to Tirano and then by coach for an hour to Lake Lugano. 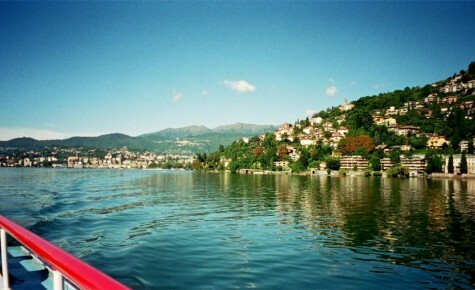 Gandria is an unspoiled, picturesque lakeside village at the foot of Monte Bre. Perched on the steep mountainside it is a community of narrow streets, inaccessible to cars, with photo opportunities at every corner. Take the boat trip from Lugano and then walk back to Castagnola along the lake shore following the beautiful “Olive Grove Trail” – a very scenic 3-4km walk. Look out for the Olive Grove logo and follow that. 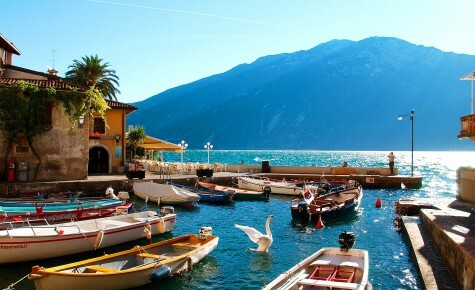 Chris says… I really enjoyed staying at Lake Lugano – it was very relaxed and perfect for 3 – 4 days. Take the cable car up to the beautiful medieval village high in the hills of Monte Bre. There is a great walk with magnificent views so take your camera. I also highly recommend the shopping! The enchanting village of Orta San Giulio, is set on the lakeside, overlooking Lago d’Orta. This pristine lake is called “Cinderella” by the locals because of its quiet beauty. The village is traffic free and the streets are narrow and cobblestoned. It is very quiet compared to Lake Maggiore, Como and Garda – so great for those wanting to get away from the crowds. It is very small, only one museum, but very relaxing. Chris says… This is cute cute cute! 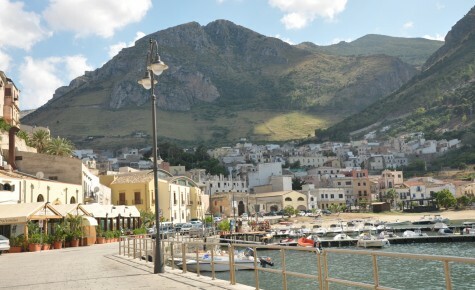 A gorgeous village with a beautiful Piazza on the lake edge filled with restaurants and cafes. This area is just what I imagined the Italian Lakes to be like. 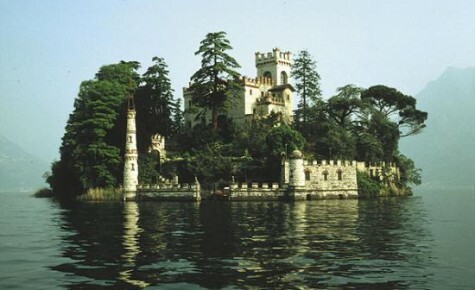 Click here to read this great article about Lago d’Orta. Take a boat out to San Guilio Island (5mins – boat leaves when enough people on it!!! ), which harbours an active Benedictine monastery and a 12th C. basilica – great to walk around as interesting Life and Love quotes dotted around the wee island. Enjoy a Walk – visit the hilltop sanctuary of the Sacro Monte d`Orta, boasting 20 chapels containing terracotta statues and elaborate sets that detail the life of St. Francis, Italy`s most beloved saint. These life-sized sets were created in the 17th C. to educate and inspire the largely illiterate population of the times. These chapels are dotted throughout the hilltop wood – very picturesque and great views of San Guilio Island. In Italy the locals love to sunbathe and they wear quite skimpy swimwear (men usually wear speedos or those “James Bond togs”) – however, long board shorts or long swimming trunks are not permitted in most pools or public baths and are somewhat frowned upon at beaches. A great opportunity to dig out the old speedos and take them. Ladies – there is a fabulous selection of swimwear (especially bikinis and matching sarongs) in Italy so allow yourself some shopping time.